The following instructions will guide you through the SSL installation process on Mac OS X El Capitan (v.10.11). If you have more than one server or device, you will need to install the certificate on each server or device you need to secure. If you still have not generated your certificate and completed the validation process, reference our CSR Generation Instructions and disregard the steps below. 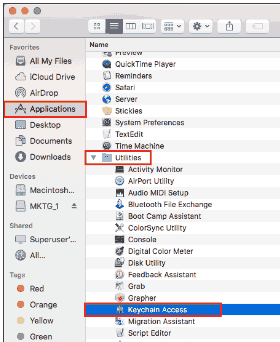 Launch and access the Mac OS El Capitan (v10.11) Server App. From the Keychain Access window, under Keychains, select System. Drag-and-drop the Intermediate Certificates (.cer or .crt) file into the System folder. Enter the Administrator’s Password and click Modify Keychain. From the Finder window, under Favorites, select Applications and then Server. 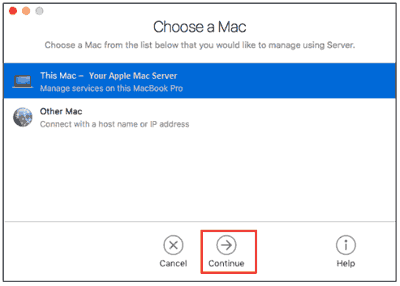 Click This Mac – YourServerName and click Continue. Enter the Administrator Name and Password and click Allow. Click Other Mac – YourOtherServerName and click Continue. Enter your Host Name and IP Address. From the Server App window, under the Server section, click Certificates. From the Certificate page, select the Pending certificate that you created during the CSR generation process. On the resulting Certificates page, you will see a box titled “Drag files received from your certificate vendor here”, drag-and-drop Your Server Certificate (.crt or .cer) into this box and click Ok.
From the Server App window, under Server, click Certificates. On the Certificates page, click the Secure services using drop-down menu, and select Custom. From the Service Certificates window, in your Certificate List, choose Your Server Certificate for each service you’d like to use the SSL Certificate for. It is recommended that you select all services that are used for communications (e.g. file sharing, mail, websites, etc. ), then click OK.